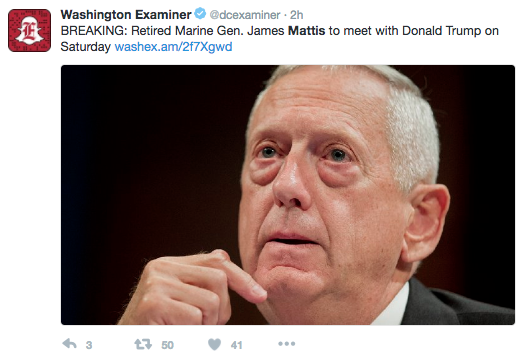 President-elect Donald Trump is considering General James Mattis for Secretary of Defense, according to an unidentified source on the transition team. 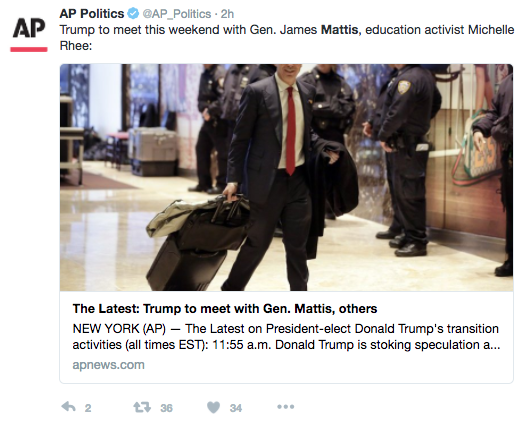 Mattis is one of eight people scheduled to meet with Trump on Saturday. If selected for the position Mattis would need a special congressional waiver to serve as Defense Secretary. According to title 10 of the U.S. Code the Secretary of Defense must be be out of military uniform for a period longer than 7 years to reinforce the norm of civilian control. Mattis retired from the United States Marine Corps as recently as 2013. It is believed that retired Army General Jack Keane is also being considered for the position.